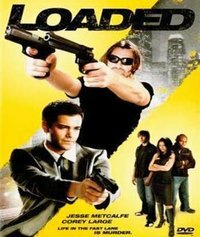 Loaded is a 2008 American crime thriller film starring Jesse Metcalfe, Corey Large, Monica Keena, Nathalie Kelley and Chace Crawford, directed by Alan Pao. This webpage uses material from the Wikipedia article "Loaded_%282008_film%29" and is licensed under the GNU Free Documentation License. Reality TV World is not responsible for any errors or omissions the Wikipedia article may contain.